Many people consider Gypsy the best musical ever made. I’m not sure about that, but it is definitely one of the most tragic. Loosely based upon the life of burlesque star Gypsy Rose Lee and her aggressive stage mother, Mama Rose, the story shows how, under the glitz and glamour of showbiz, lies a seedy and corrupted world where becoming famous, by all means necessary, is the only thing that counts. Gypsy Rose Lee, or Louise as she was initially called, never wanted to become famous. A quiet, anonymous life was all she craved as a child. But her mother would have none of it. Deprived as a child of her chance to become a star, she was determined that her daughters were gonna make it in vaudeville. She never seriously believed in Louise’s talent, though, and the little girl ended up dancing in the background dressed as a boy while her younger sister June took the prominent place in the limelight. Despite all her efforts, the domineering and resourceful Rose only managed to achieve modest success for a brief time. Yet, she remained unwilling to make changes to the act and accept that vaudeville was dying, thus sabotaging the dream she had for her daughters. Eventually June, who, unlike her sister, really wanted to make it as an actress, got tired of always playing Baby June, got married and left. Louise hoped that her mother would now finally give up her showbiz dream, marry Herbie, and live quietly ever after. But Rose isn’t capable of that. Instead, she decided to turn Rose into a star. Eventually she becomes one. But not in vaudeville. In burlesque. Rose isn’t happy about that. It’s true that she pushes her daughter on the stage for the first time, but she stresses that she should perform life a lady, just lowering her shoulder strap at the most. But Louise, who had always believed to be ugly and talentless, finds in burlesque something she’s good at. And she discovers how pretty she really is. For someone as damaged as her, it’s easy to mistake the applause and cheers from the leering men in the crowd for love and approval. And love her they might, but in the totally wrong way. Louise, for her part, tries to make her act lady-like, but in the end, that just becomes a gimmick that cannot hide the fact that she’s making a living by taking her clothes off for crowds of men. 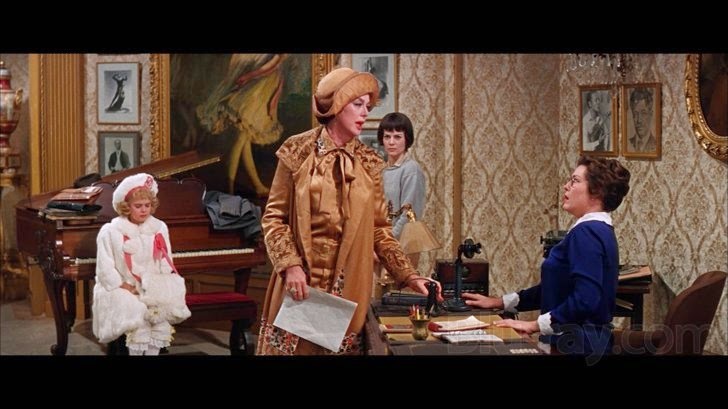 Natalie Wood is great in the part of Gypsy Rose Lee. She has a naive, vulnerable charm that captures the torments, insecurities, and abuse Louise suffered as a child and that led her to choose a career as a stripper. With a mother like Rose, she never had the chance to be anything else. And while it would be easy to see Rose only as a monster mom, she is a victim too. Abandoned at a young age by her mother, and never receiving the support she needed to make her dreams come true by her father, Rose devotes all her efforts to give her daughters the life she always wanted to live. But by so doing, she ends up alone. 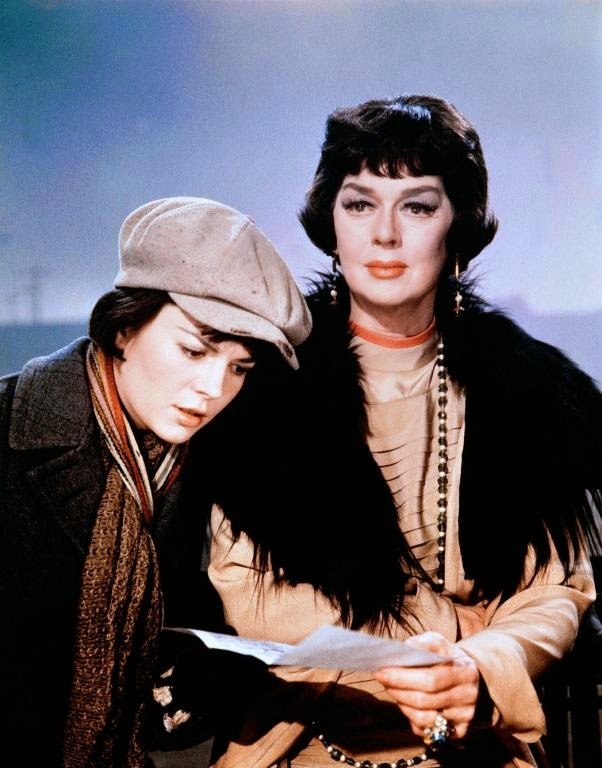 Rosalind Russell played her, with her exuberance, restlessness, and many contradictions, perfectly. The musical numbers are plentiful, beautiful, and short. My favourite songs are “Some People”, where Rose explains that she just can’t live the boring, domesticated life her daughters so desperately need and “Rose’s Turn”, in which she pours her heart out when, in the end, she’s finally left alone on the stage to reflect about her failures. It’s a powerful number. Unfortunately, the songs are so famous that not everyone listens the lyrics or music anymore, which is really a shame. Gypsy is a great all round musical, with glitz and glamour, tragic and drama, wonderful music and brilliant acting. 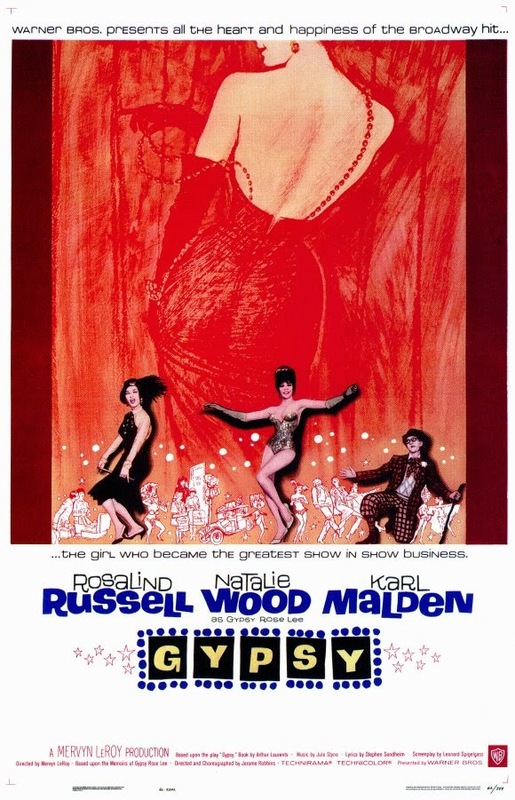 Although it can at times feel like the movie’s glamourizing strippers, its aim is to explain what led Gypsy Rose Lee to become one. The musical is a powerful reminder of the damage stage moms can inflict on their children, ruining their chances to lead a happy and fulfilling life. Sadly, it is a lesson too many parents haven’t learned yet.